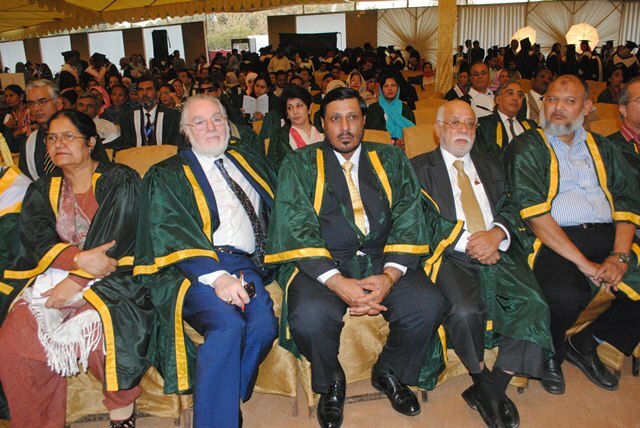 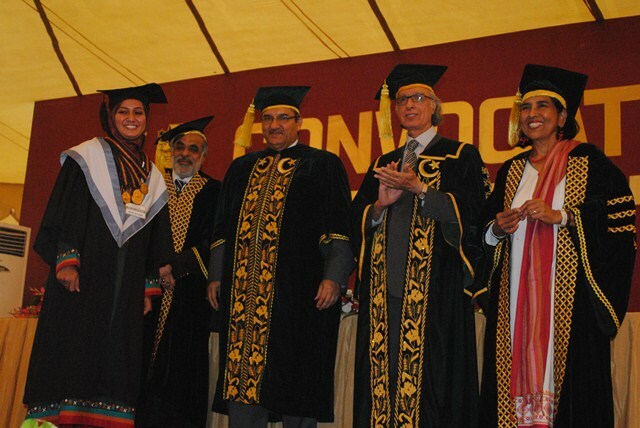 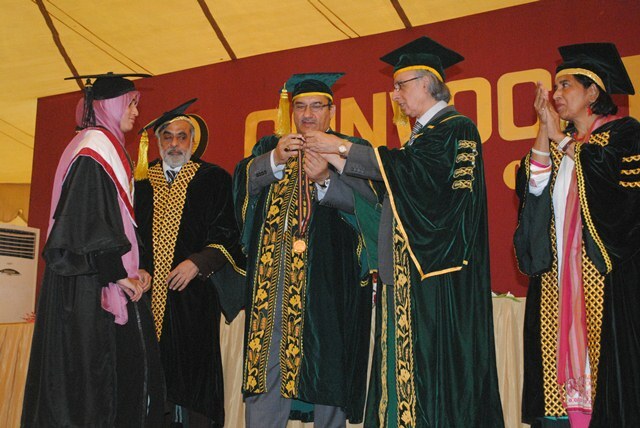 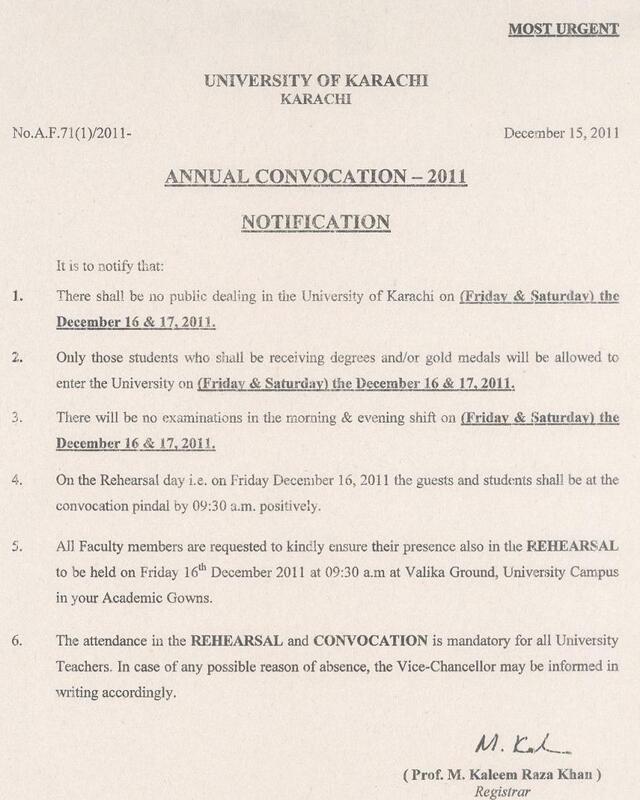 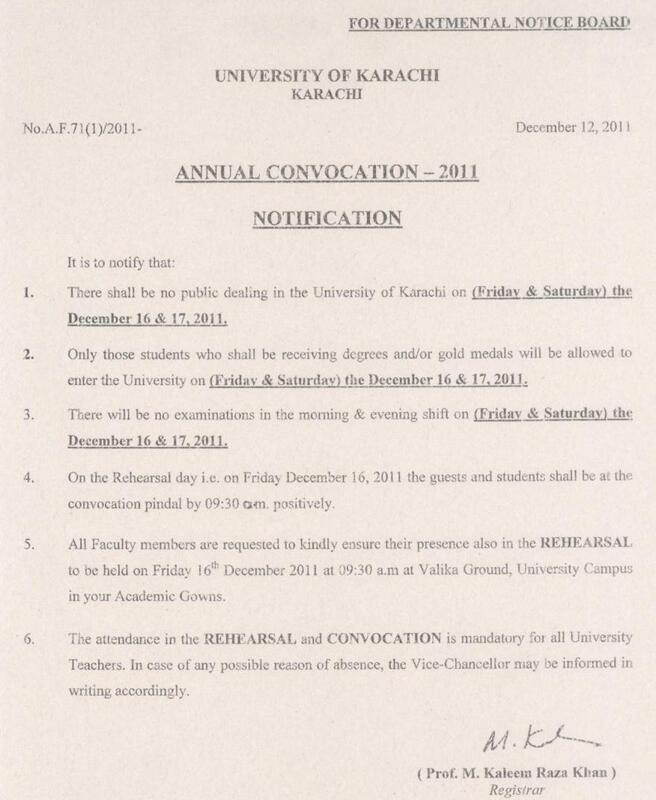 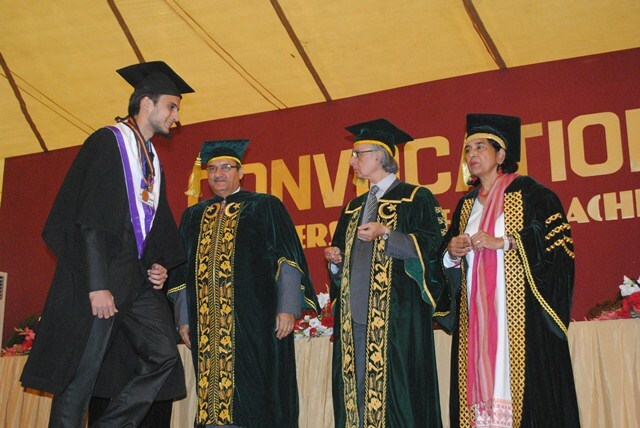 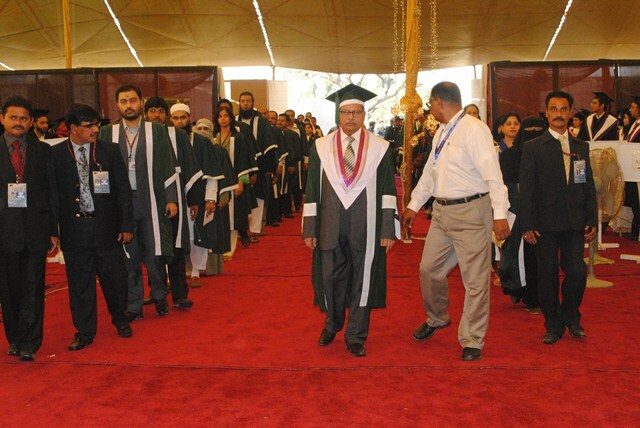 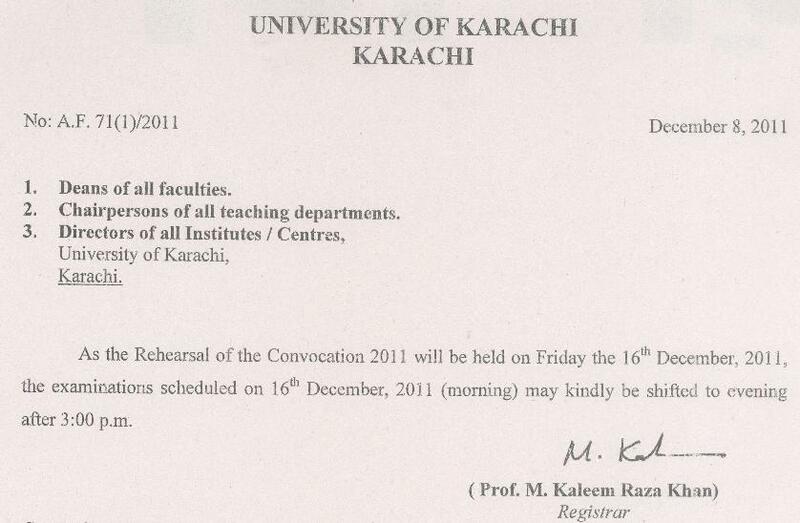 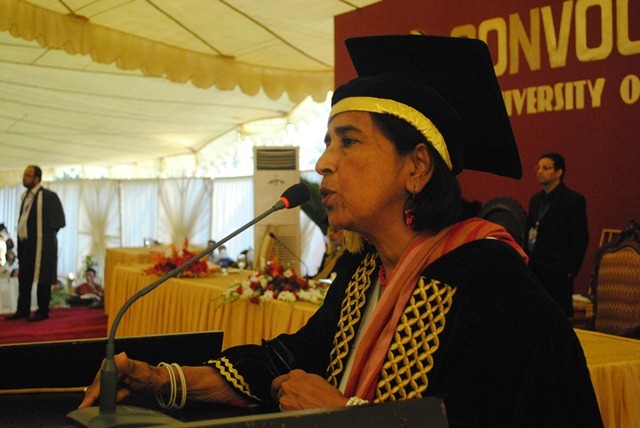 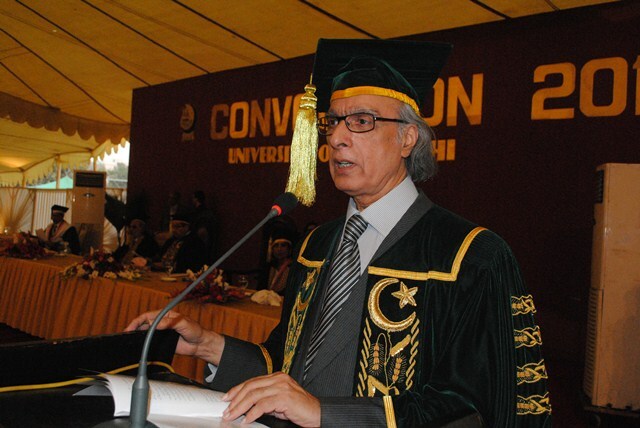 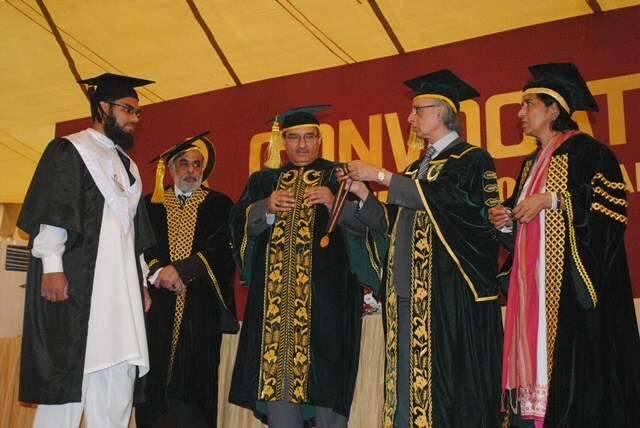 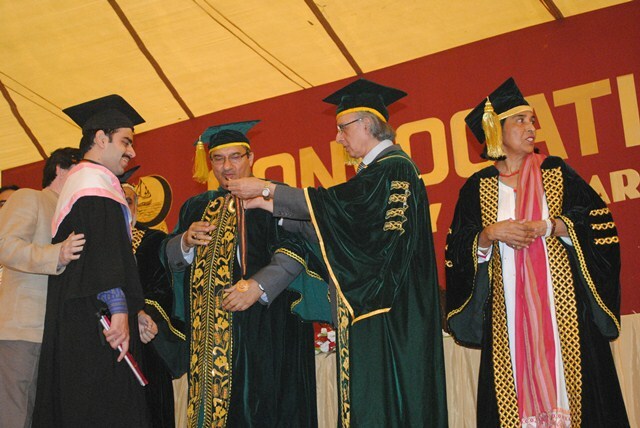 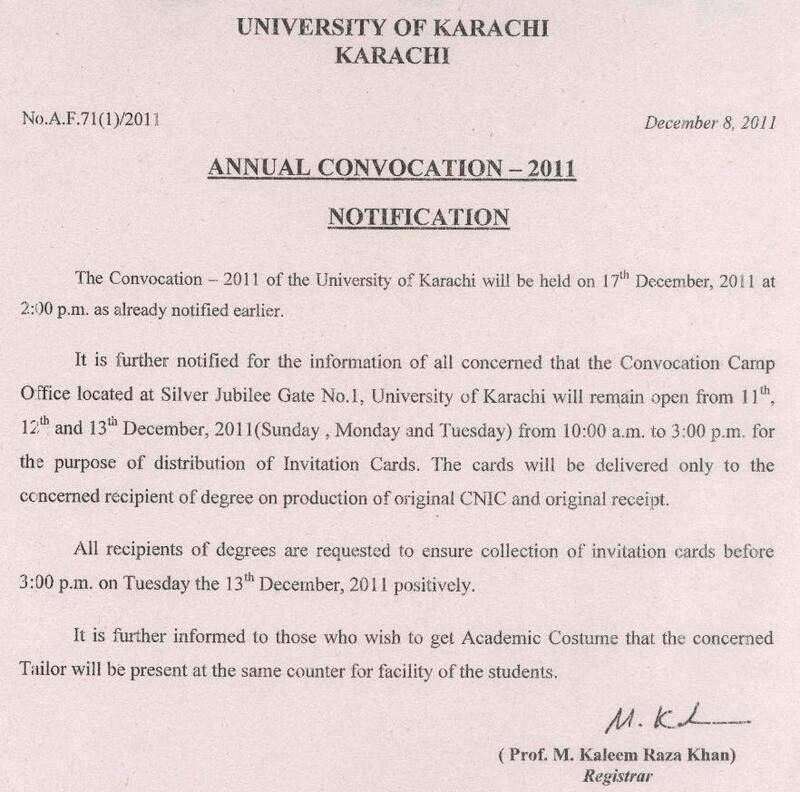 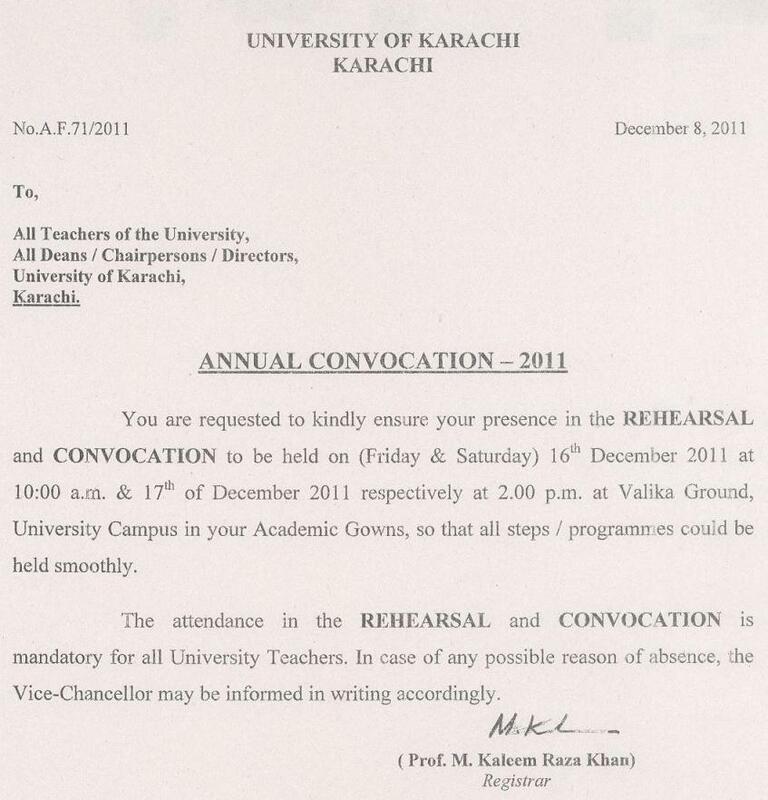 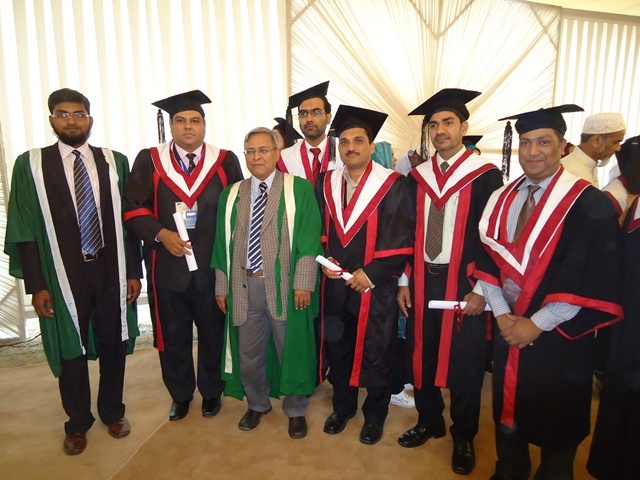 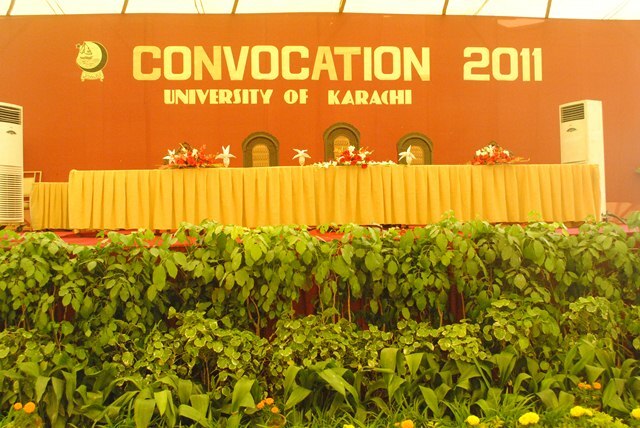 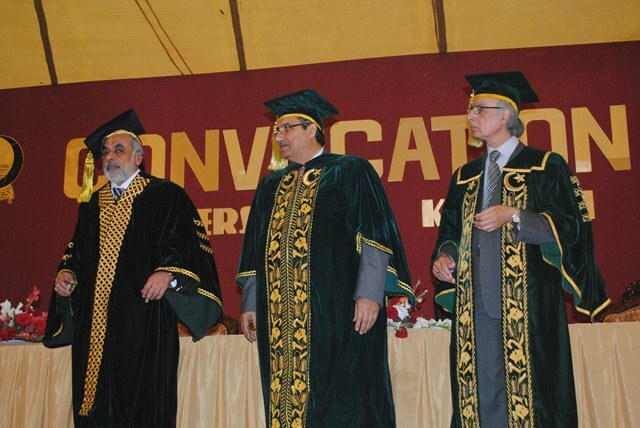 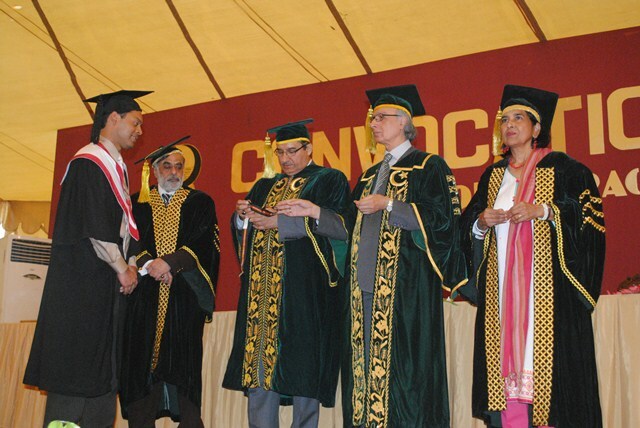 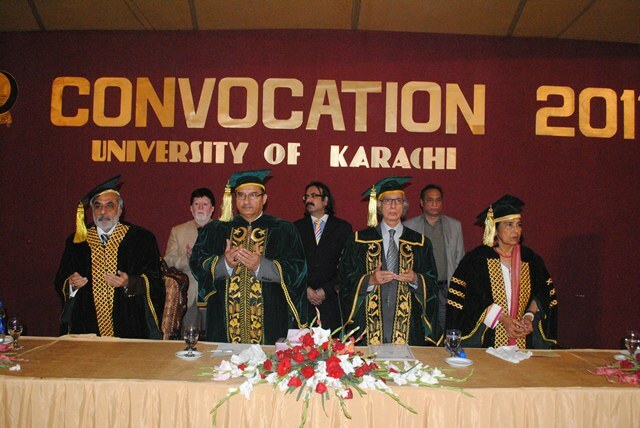 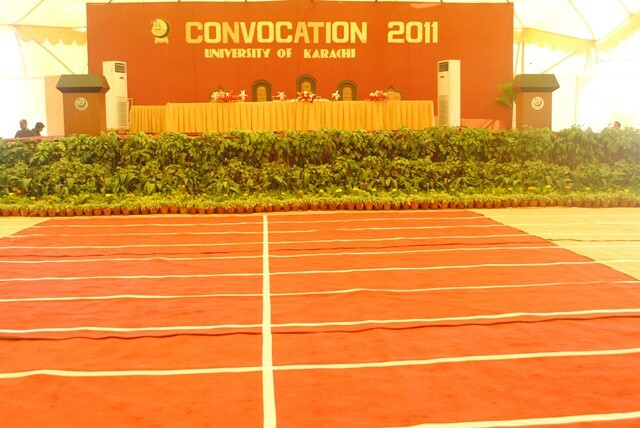 The 22nd Annual Convocation of the university was held on Saturday, December 17, 2011 at the Valika Cricket Stadium, University of Karachi. 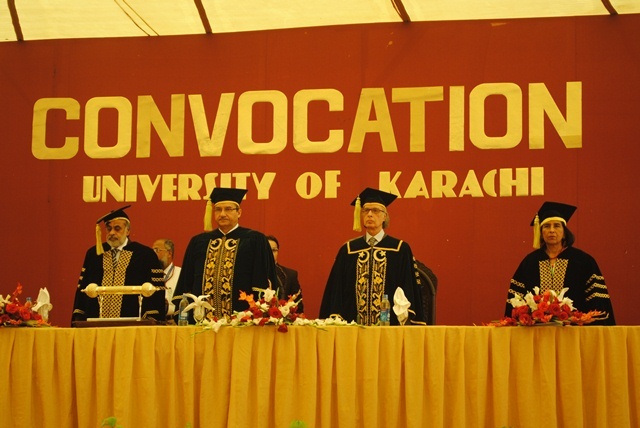 It was presided over by the Sindh senior minister for Education Pir Mazhar-ul-Haq who is also the Pro Chancellor of the University of Karachi. 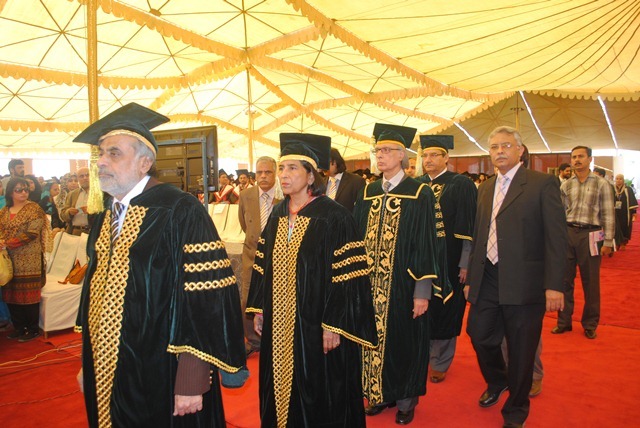 The Vice Chancellor Prof. Dr. Pirzada Qasim Raza Siddiqui, and the Pro Vice Chancellors Prof. Dr. Shahana Urooj Kazmi and Prof. Dr. Nasir Khan were also present. 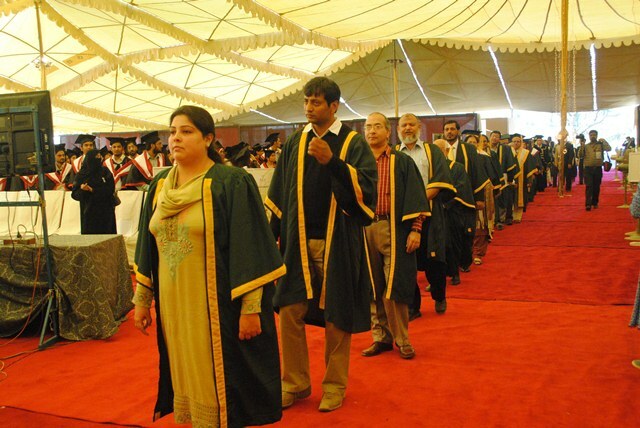 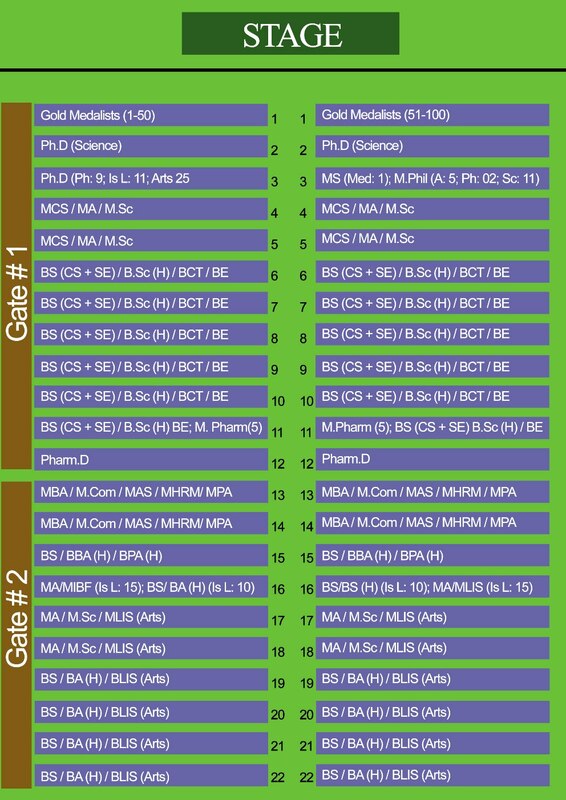 Degrees, including 315 PhDs, were conferred on 9,766 graduates of University`s morning and evening programme. 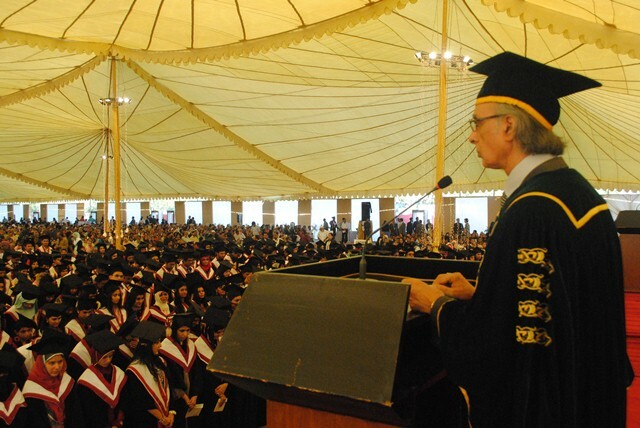 However, the number of graduates who received their degrees in person at the convocation was around 1,800. 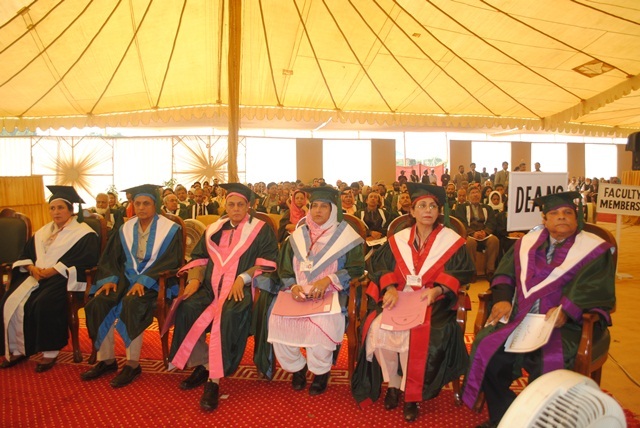 The convocation was held for the students who passed their BA, BSc, BCom, BBA, BPA (Honours), BS, MA, MSc, MCom, MBA, MPA and Pharm-D examinations in 2009 and 2010 and those who did their MS/MD, MPhil and PhDs in 2010 and 2011. 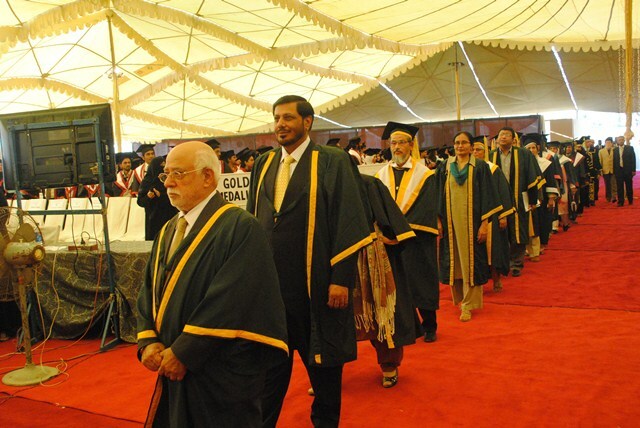 As many as 102 students were awarded gold medals amid loud applause from students, their parents and faculty members. 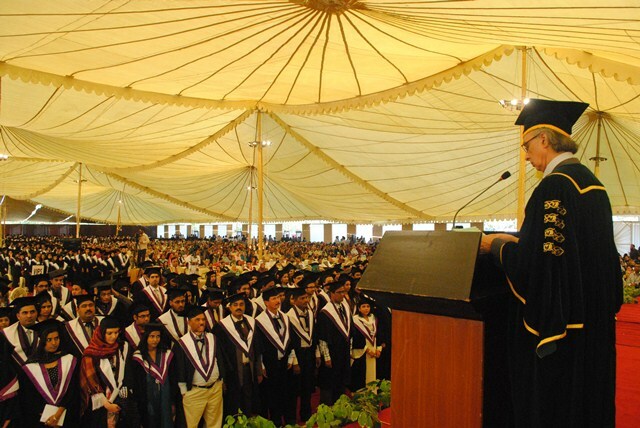 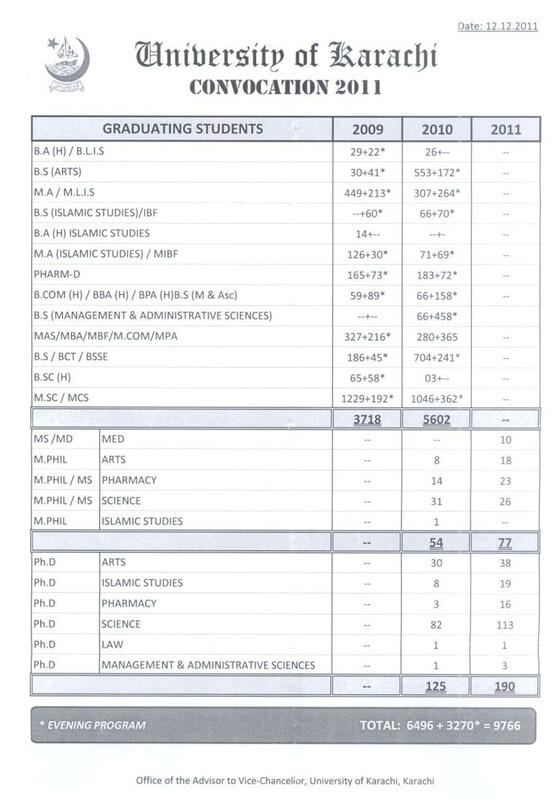 In all 9,766 graduates were awarded degrees. 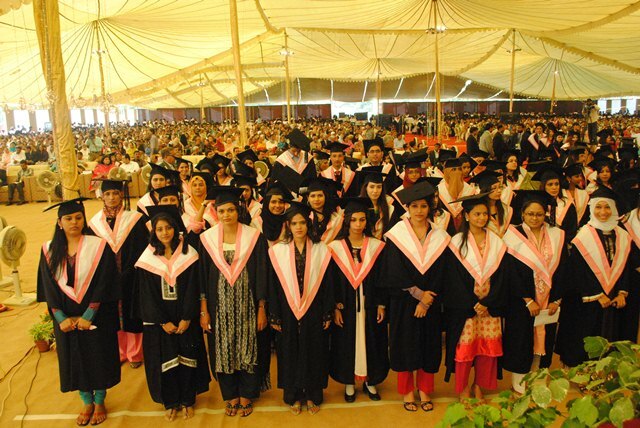 They were 7,320 students 3,718 of 2009 and 5,602 of 2011 of different bachelors and master programmes, 131 MPhil 54 of 2010 and770 of 2011 and 315 PhDs – 125 of 2010 and 190 of 2011. 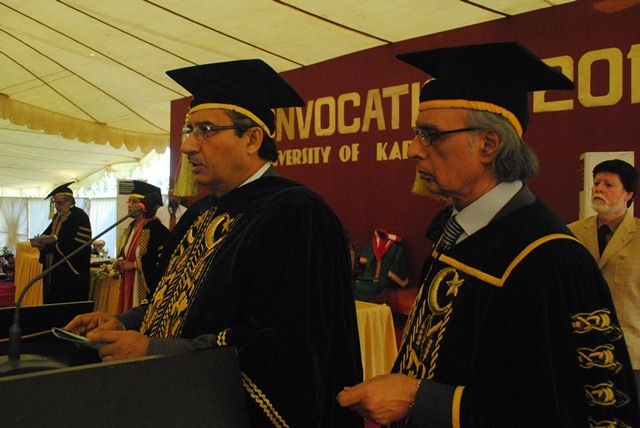 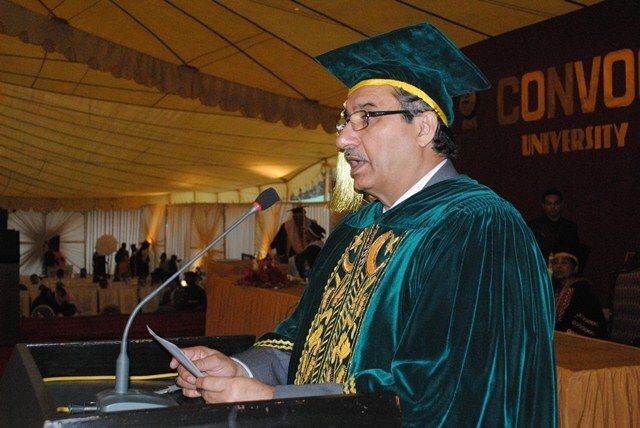 A significant aspect of the convocation was the conferment of doctorate of science (DSc) upon renowned urologist and director of the Sindh Institute of Urology and Transplantation Prof (Dr) Adibul Hassan Rizvi in recognition of his dedicated services in the field of urology.